the Northwestern University Feinberg School of Medicine.﻿ He is also the Associate Director of the Lynn Sage Comprehensive Breast Center and Chief of Staff for Northwestern Memorial Hospital. Minnesota followed by a year at England's Oxford University studying Biomedical Ethics and then Medical School at the University of Minnesota. His General Surgery training was at the University of Wisconsin and Surgical Oncology Fellowship at the Medical College of Virginia. ﻿﻿Dr. Bethke's practice is limited to breast surgery with a focus on breast cancer. Although providing excellent patient care is his first priority, he also enjoys his role as a teacher and mentor for which he's received numerous teaching awards. He is an enthusiastic supporter of research performed at the Lynn Sage Breast Center and actively enrolls patients into appropriate research studies. Dr. Bethke has published on a variety of breast disease topics and is ﻿a member of many medical societies including the American Society of Breast Surgeons, the Society of Surgical Oncology and he is a Fellow of the American College of Surgeons. He has been active in many cancer organizations including the American Cancer Society where he has served as past President of the Downtown Chicago Board. Dr. Bethke believes in empowering patients by providing them with organized, pertinent information through consultation discussions, email access and this website which provides clinic forms, step-by-step guides, worksheets, web links and videos. His hope is that patients will feel comfortable asking any and all questions. As a surgeon, Dr. Bethke strives to not only perform the best cancer operation possible but also to assure the best cosmetic result. please contact Dr. Bethke directly at kbethke@nm.org. He will try ​to arrange an earlier appointment. *****There is a lot of new information provided during your initial consultation and it is often difficult to absorb it all. Feel free to record our consultation with your smartphone recorder app. Review Dr. Bethke's Northwestern Medicine profile and ratings on the Northwestern Medicine website, www.nm.org. In the "Find Doctors" section type in Bethke. The Lynn Sage Breast Center is an internationally acclaimed comprehensive breast program located in Northwestern’s Prentice Women’s Hospital in downtown Chicago. 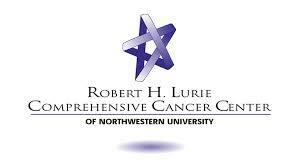 It has the largest breast cancer program in Illinois and one of the largest in the United States. It consists of a multidisciplinary team of physicians including surgical, ﻿medical and radiation oncologists, breast radiologists, breast pathologists, breast reconstructive surgeons, navigators, oncofertility specialists, geneticists and many others, all dedicated to the care of patients with a breast problem. Many members of this team are national and international leaders in breast cancer treatment. ​The Lynn Sage is part of Northwestern Memorial Hospital, a nationally ranked academic medical center and the primary teaching hospital of Northwestern University’s Feinberg School of Medicine. It routinely ranks very high in multiple national survey’s including the U.S. News and World Report America’s Best Hospital list where it currently ranks #8 in the entire United States and # 1 in Chicago and Illinois.